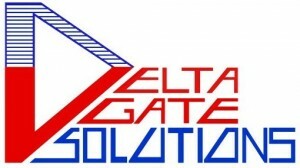 Delta Gate Solutions is a company established in Malaysia to provide international business development services in Malaysia and Singapore. Working in the UK and Asia, the company’s Directors have more than 36 years’ combined experience of international business development and marketing services in global markets. Working in partnership with international trade and investment promotion agencies, the company delivers bespoke business services to assist in developing a business model that works to deliver the right strategy for growth and wider corporate goals in this dynamic region. IGB International School (IGBIS) is a premier Early Years to Grade 12 international school. Situated at Sierramas and Valencia, in the north-west of Kuala Lumpur, Malaysia, IGBIS is an IB World School authorised for the IB Diploma Programme. IGB International School is a candidate school* for the International Baccalaureate Primary Years Programme and the Middle Years Programme. These are schools that share a common philosophy – a commitment to high quality, challenging, international education that IGB International School believes is important for our students. In an inclusive learning community, students receive a challenging, caring and holistic education. Our team of internationally- experienced IB educators are trained to deliver an integrated, 21st century curriculum, empowering our students to be lifelong learners who aim to make a positive contribution to our global society. It will also provide extensive programmes for parents and the broader community in sports, the arts, and continuing education. These programmes will be conducted after school, evenings, weekends and during the school holidays, making use of the outstanding facilities at IGBIS. Digistar group of companies offers a complete and comprehensive range of services including design, supply, installation and integration of information technology infrastructure, teleconferencing. Local area networks interactive media management systems, radio and television news automation, telecommunication systems integrated audio and visual systems, broadcasting systems, centralised monitoring system and other advanced electronic systems. As a public listed company, Digistar has also diversified its business interests to include property development, research and development on biotechnology, tourism and hospitality sectors. Avis Malaysia first opened its doors for business in 1972. We have held the position of being industry leaders our ability to deliver a consistent high quality and recognizable service with our dedicated employees. Avis Malaysia has seen tremendous growth to a point where we have diversified to provide corporate monthly and long term leasing. Avis Malaysia has built the culture of continuous improvement and change in its employees. This culture is our backbone that has led us to the path of excellence. 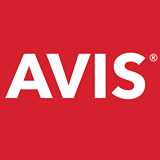 Avis started out in Malaysia with the vision of building the best and fastest growing car rental business. This vision has not changed over the years and we are always striving to provide our customers with the ultimate Avis experience. Each and every employee is clear about what the company is trying to achieve. Our vision and strong culture has driven our people to always give their very best. This has resulted in us providing consistent high quality of service. At present, we have3 downtown offices and 3 airport counters all over Malaysia: HQ – Glenmarie Shah Alam, KL City Centre, KLIA Airport, Johor Bharu downtown office, Penang Airport and Kuantan Airport. Today Avis Malaysia offers its customers a wide range of local and international mobility services combined with the "We Try Harder ®" service and quality levels.